After many weeks of serious martial arts posts, here's something modern and spirited. As we have always maintained kung fu, high skill, is not the province of martial arts only. This clip is a remarkable result of many modern kung fu: intrepid sportsmen, talented videographers and a clever compiler. Watch and see what we mean. 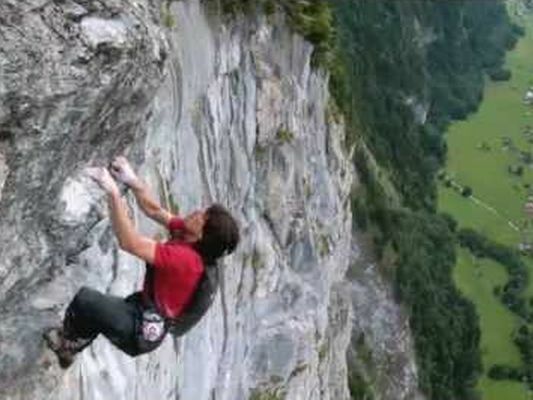 BTW, the climber you see in the photo and at the end of the clip, he's fine. Notice the parachute strapped to his back.